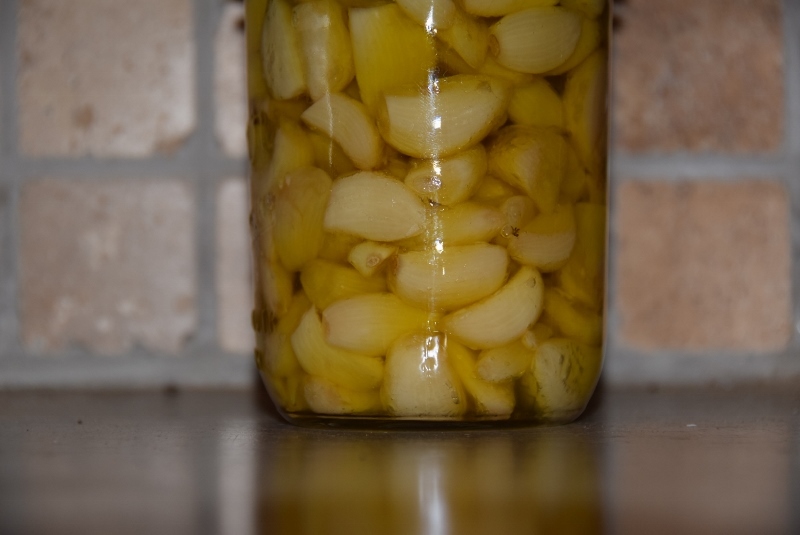 Two nights before we departed on the next adventure I made a mason jars worth of garlic confit. Once we hit the road I used it more than I expected. If you are a fan of garlic but have not had it prepared confit you will be hooked at first bite. The garlic takes on a mellow sweet flavor that can be used in any recipe that calls for garlic. Having garlic confit on hand always to use in our cooking makes simple camping meals flavorful. Confit is a form of preserving, I make a mason jars worth at a time which is typically 6-8 heads of garlic and will last a few months. 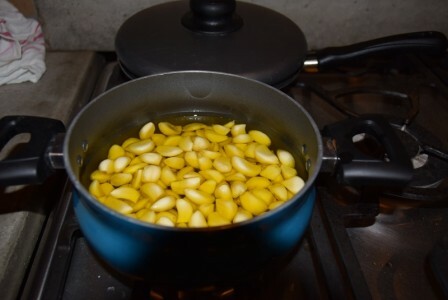 Put garlic cloves in medium size pot and pour olive oil over cloves till just covered. Cook over a very low flame. You want just an occasional bubble to rise in the oil no more. You can prepare this in a dutch oven over campfire coals as well. 3-4 hours and you are done. Pour garlic and oil into a jar (the oil has a rich garlic flavor for cooking with as well) or tupperware and store in the fridge. I would be interested to hear anyone elses camp cooking recipes that use garlic confit. Thank you! Excellent! I’m going to make this to take to our summer cottage! That’s my version of camping I guess but I still cook… Do you mince the garlic for those recipes? Could you mince it before storage?